While only briefly mentioned in a press release, Apple has shared some upcoming iWork improvements. Many enterprise users will be interested to learn that Apple has introduced significantly faster iPad mini and iPad Air models – they may also be interested to learn about new features the company will soon introduce in Pages, Keynote and Numbers that make its free productivity suite even more useful for enterprise professionals. Look around, and you’ll frequently find tablets, mostly iPads, in use in real-world business scenarios. 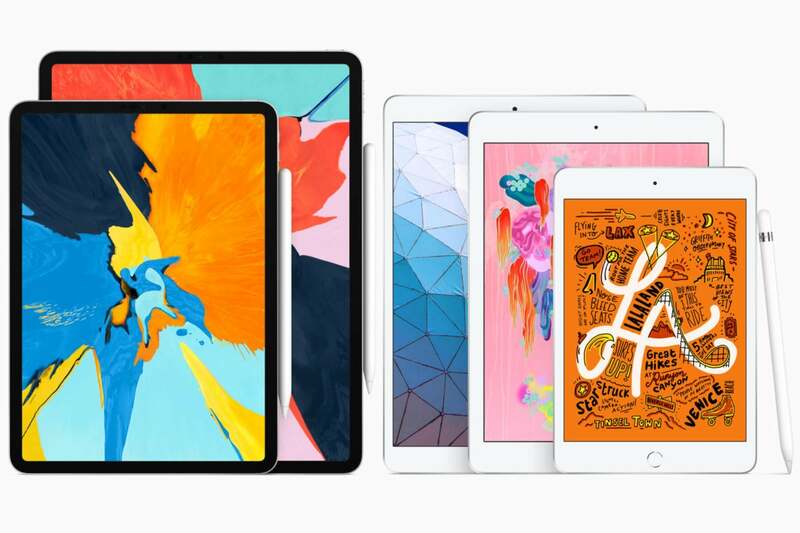 Apple’s decision to make machine learning in the form of its A12 Bionic chip more widely available by putting the processor inside more iPad models means those real-world usage cases now get a boost, presumably improving productivity. Enterprises are providing these devices to help cabin crew, check-in staff, point-of-sale systems, office concierge, retailers, restaurants, healthcare, delivery drivers, field service engineers, and many others get tasks done faster and more efficiently. iPads aren’t just consumer products – they’re systems that replace PCs in many tasks. Now Apple is improving iWork to make these PC replacements even more useful straight out of the box. These improvements will appear in a software update in the week starting March 25. What improvements is Apple making in iWork? Most of the new iWork improvements are focused on Keynote. This means everyone who uses an Apple device at work now has a free, highly capable, presentation solution. The company is making it a little easier to collaborate within Keynote, Pages and Numbers, increasing maximum file size to 2GB and making it possible to edit grouped objects while collaborating. An improvement within iCloud sync means you will be able to save and sync shapes, templates, and themes and share/reuse them across all your Mac and iOS devices. iOS users can create image placeholders to replace images without affecting the formatting of a document, spreadsheet, or presentation. Apple has been steadily improving Keynote since the product was first introduced in 2003. It is now arguably one of the best presentation suites you can get, with the added advantage of being free. It is now possible to edit presenter notes in Keynote while presenting or rehearsing your presentation. This lets you take notes, record feedback, or make other improvements without leaving the presentation. Another useful iOS enhancement is action builds, which lets you create more complex animations in Keynote. These include rotate, move, scale, and change opacity. Now 14 years old, Pages saw a few little improvements. While it sounds only a little useful, this is probably going to be the most-used new Pages feature: A switch that lets you move your document between word processing and page layout document types. You can also navigate a document in table of contents view and add such tables to a document. In Chinese, Japanese, and Korean, you can type vertically in text boxes, shapes, and in the body of Pages documents. You can now increase maximum zoom in Numbers on iOS to 400 percent, make precise changes to row and column sizes and – perhaps most important – you also gain improved CSV/TSV support, which basically improves the fidelity of how spreadsheets created in other applications look when they are imported into Numbers on iOS. While it remains true that Microsoft Office is the de facto standard for workplace productivity, it provides way more tools than many users need. Recognizing that a growing number of enterprise professionals are switching to iOS, Apple's Office-compatible iWork suite makes it possible to do many Office tasks without spending money on Office. This could prove increasingly significant as people upgrade their old Windows PCs to new Apple systems, and it certainly delivers a good advantage in terms of TCO.